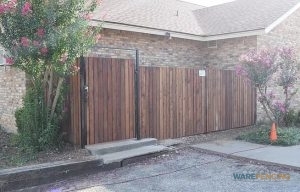 Do you need a dependable fence company in Bedford, TX? 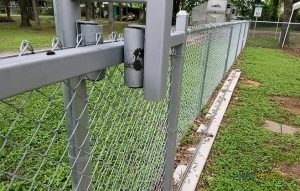 At Ware Fencing, we specialize in all kinds of fence repair, fence replacement, along with fence installation for homes in addition to commercial properties. With these services, we can work as a team to add to the property value of your home or property, as well as the curb appeal and security! We are here to make all fence visions a reality, regardless of what you’re searching for. Call us today at 817-948-4503 to talk with any of our expert contractors, and let us help you decide which fence will best apply to your budget and requirements. As a professional and local fence company in the Bedford area, our team has years of expertise servicing homes as well as businesses in the community. While many residential fencers have few resources, our crew can even supply farm and ranch fence services to our clients. For our home fencing options, we have plenty of options you can choose from, such as aluminum, cedar, iron, as well as chain link, just to mention a few. Our cedar fences are among the most popular, as a traditional suburban aesthetic, and our aluminum fences are a perfect option if you are looking for a cost-effective as well as functional safety fence. For additional residential security, you can pick from our wrought iron fencing, or inquire about our specialty security fence options. Even if you need a custom fence design that you don’t see listed here, you can rely on us for the perfect fence. We work diligently to be the fence company in Bedford, TX that this community can rely on. Ware Fencing is committed to supplying unbeatable customer service, along with utilizing top quality materials that are built to last. Our crew works very hard to ensure you get the precise fence you’re searching for. You can reach our team of experts at 817-948-4503 now to ask for a quote and set up your appointment! When you require a dependable fence company, you can count on us.